Home » Chaya Adler - Top quality jewelry. Handmade in USA. » Gunmetal Necklace with 22mm almond shape Bronze shade Swarovski pendant. Chaya Adler - Top quality jewelry. Handmade in USA. 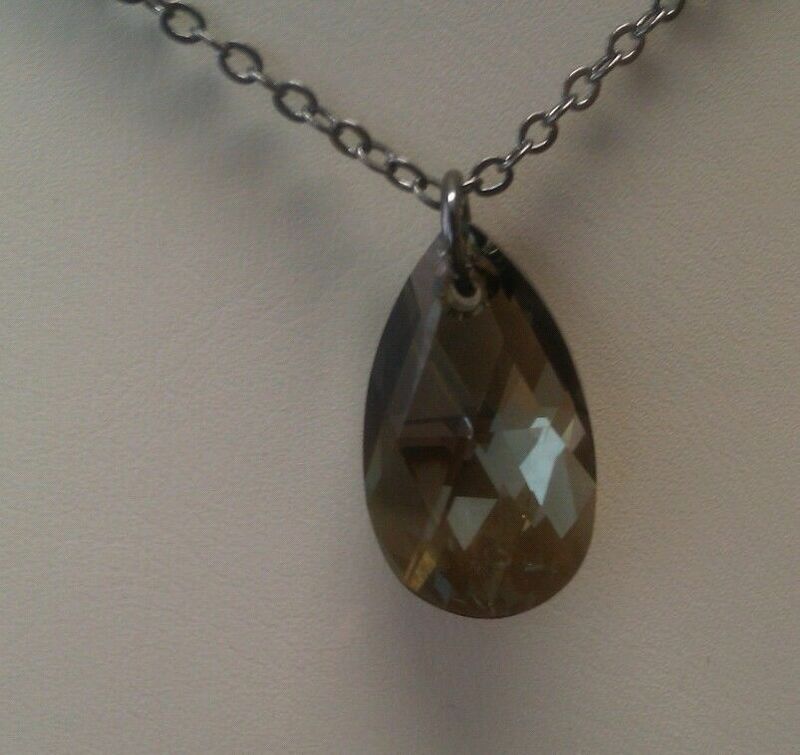 Beautiful Gunmetal finish chain with 22mm Almond shape Bronze shade color Swarovski pendant. 20 inch. Lobster clew clasp. Matching earrings available.